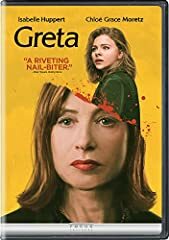 Chris Stuckmann reviews Greta, starring Isabelle Huppert, Chloë Grace Moretz, Maika Monroe, Colm Feore, Stephen Rea. Directed by Neil Jordan. Looks like a Lifetime movie. Totally agree – the movie lost me completely exactly where you talked about the physicality. And the rest wasn’t close to interesting enough to get me back in. I had no issues with the nativity – I thought that played out fine. I gave it a 3/10 because for me the good performances couldn’t make up for a boring cliche story. Can you do an A+ movie review? It’s been a while since I’ve wanted to walk out of a movie more than while I was watching this movie. Incredibly dumb. Horrible movie. 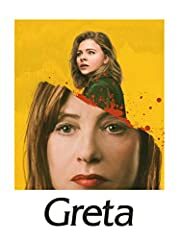 oh cool, Chloë Grace Moretz is acting again. Good to have her back. Everytime he criticises the screenplay, makes we wonder which draft did he read. He should know scripts changes a lot. Probably the first draft wasn’t a cliche. Why is this advertised as a horror film? Can you review “The Hole in the Ground”? Why is nobody talking about Vice? I had a piano teacher once! Nothing happened, honest. The battle angel T shirt!!!!!!!!!!! Where you got that!? If you find a purse on a Subway, give it to the police instead of giving it to the person, who might be dangerous! Use your head, for Christ sake!! 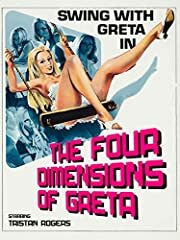 Should I watch this at night? Chloe Grace Moretz is (besides Saoirse Ronan) one of the most sympathetic younger actresses nowadays. Sure her recent filmography has some flaws but I think her upcoming roles get more and more ambitious. She gets better and better. Based from interviews I think she is also very down to earth. Not to forget: She’s damn beautiful, such a beauty! It’s nearly impossible to not like her. 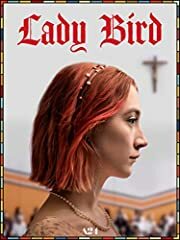 This movie assumes you’ve never heard of Single White Female, Pacific Heights, etc…etc… I could tell from the trailer. Thanks for saving my time and money. We need a ROMA review!! With the 80th anniversary you could review Gone with the Wind.. the most gorgeous movie with the villain as the main character. Please review Bruce Lee’s last film..Enter the Dragon! I wouldn’t mind getting stuckmannized into Chloë Grace Moretz. I’d sling that girl’s legs around my ears and wear her like a feedbag! Why don’t you plug your other social media in the description ? Damn dude, you are not funny, stop trying to be funny.